Good photographs can make or break your business. They can mean the difference between a potential customer or promotion, and not even a second glance. I'll be the first to admit that my photographs can use improvement, so it is always with interest that I will read articles with tips on how to improve my photographic skills. 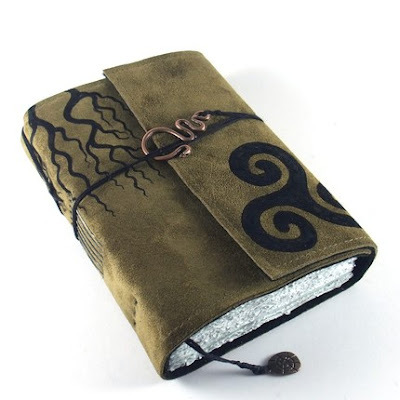 Since we use our photographs not only in our Etsy shops, but also for book swaps, on blogs, flickr, facebook and other sites, it is important that they be as good as possible. 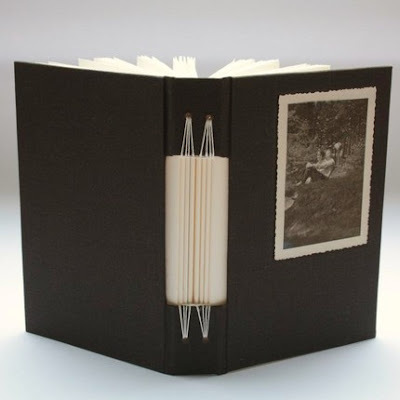 I recently came across a two part article on Photographing Your Artist Books on the blog of the 23 Sandy Gallery in Portland. Very helpful information can be found in Part I and Part II. Etsy's blog, The Storque, also does occasional articles on photography, and here is one on Feature Friendly Photos. Thank you for linking these great articles, they're very helpful. During summer I planned to reorganize my etsy shop, and this included taking new photos when needed. Friends told me that my pictures, most of them taken head on, are quite "boring". In fine bookbinding catalogues books are always phographed this way, as it is the easiest way to show the whole cover and decoration, and that's how I'm used to do. I'm considering the idea of taking pictures of the books propped up, we'll see how it works..
For this reason, I say thank you because this article come up in the right moment, THANK YOU SO MUCH. 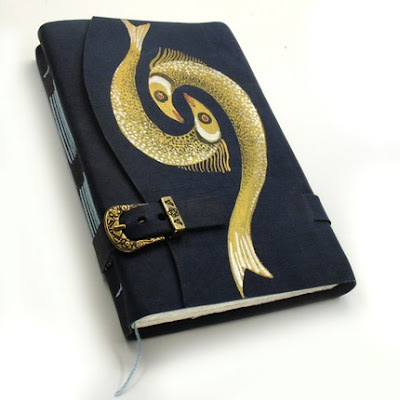 What about the other bookbinders? Has anyone else issues in choosing the right angle for pictures? What did you choose or how have you solved the problem? Thank you for the article, and for choosing one of my photos as an example. I take it you liked the photo, and that you didn't think of it as a counterexample? I am so struggling and insecure with my photography and I am never really satisfied. So it surprises me, and delights me to find one of my photos among your choices. But then, who couldn't do better with a genius photographer at hand to make pictures of your products? I wish I had one here! I envy Elissa for handing that task over to her husband who is obviously doing a great job. helpful post, thank you! I've been changing the way I photograph my work and it's nice to hear what other people think and do to showcase their work. My hubby is going to be happy to hear your compliment! He comes from a family of photographers, so I'm convinced that there's a genetic component. I'm thankful that I'm married to that component. I'm flattered you chose one of my journals here as a good example of photography. I must admit I still have to work on my setup, I noticed a trend in the photos promoted by etsy in treasuries and such - most have other objects in the view, that add atmosphere, and lots of them are photographed outside and have a sunny glow.